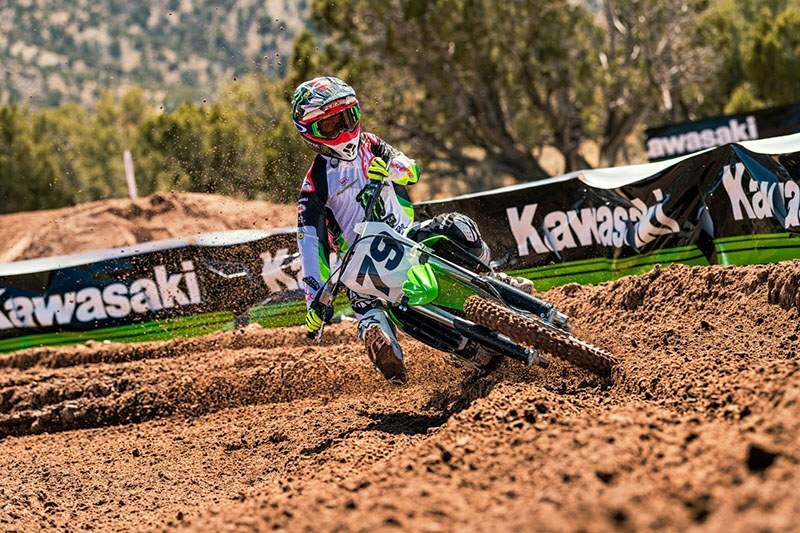 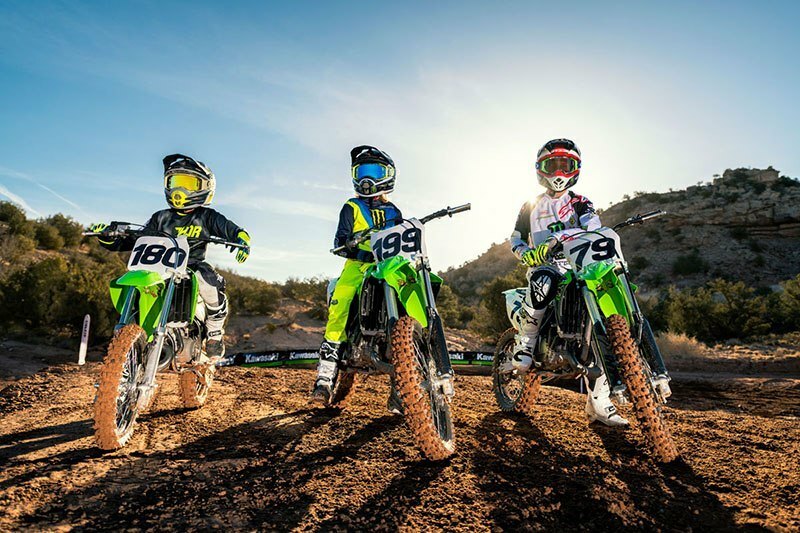 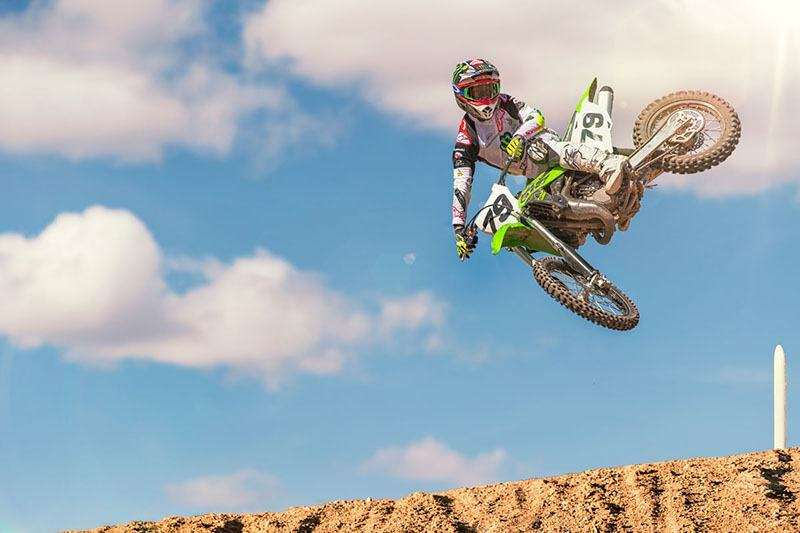 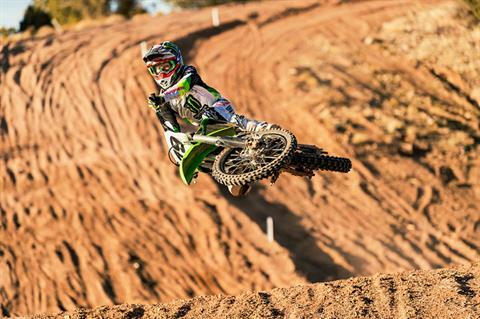 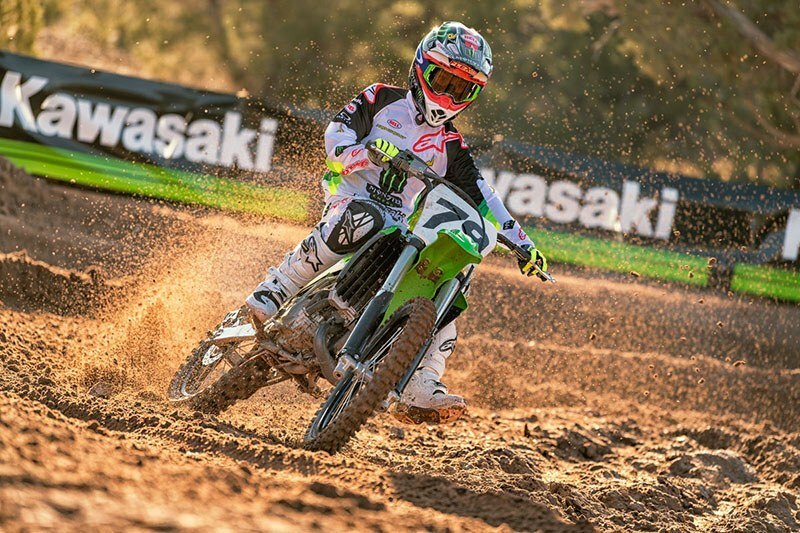 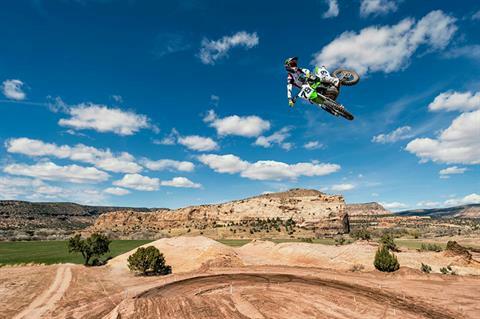 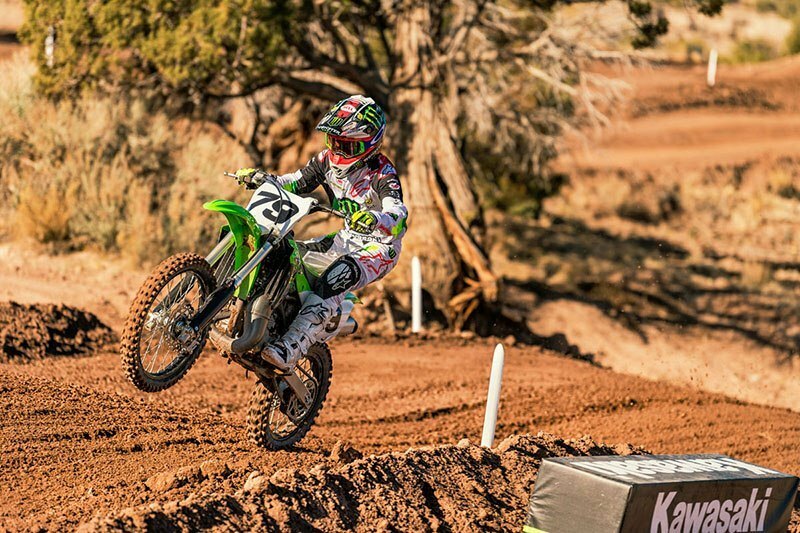 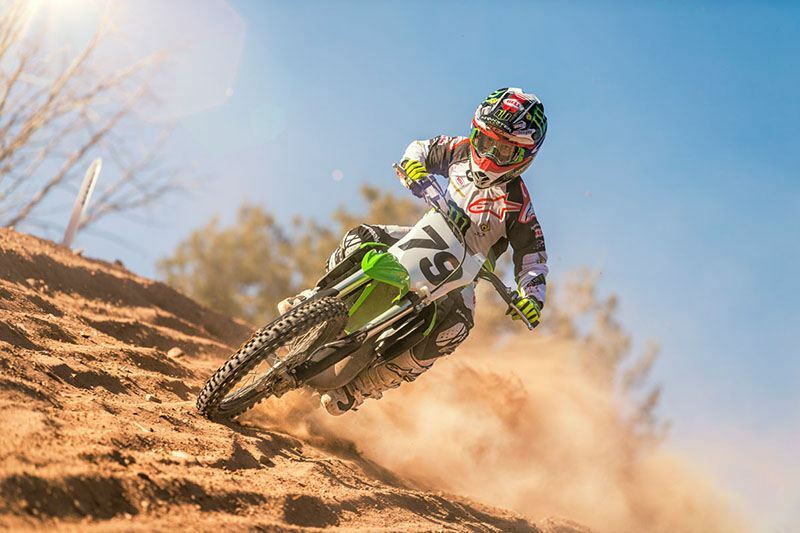 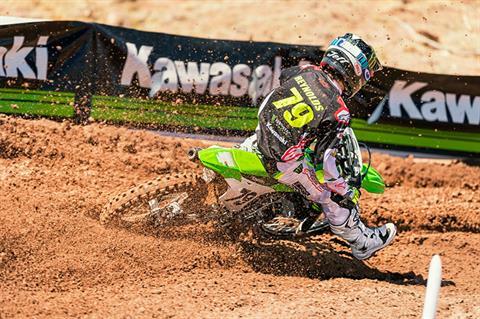 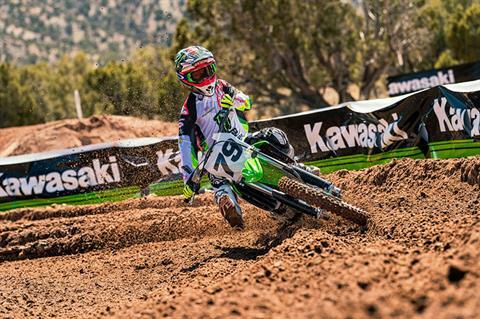 Mold your aspiring racer the right way by bridging the gap to full-size bikes with the KX™ 100 motorcycle. 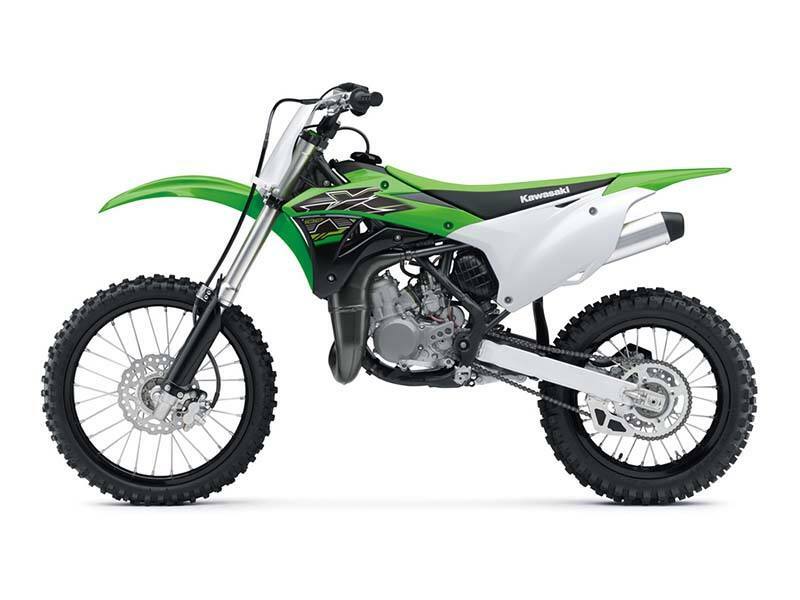 With more power and larger wheels than the KX 85, this two-stroke super-mini gives riders the perfect blend of durability and proportionate power increase with a larger chassis before transitioning to the big bikes. 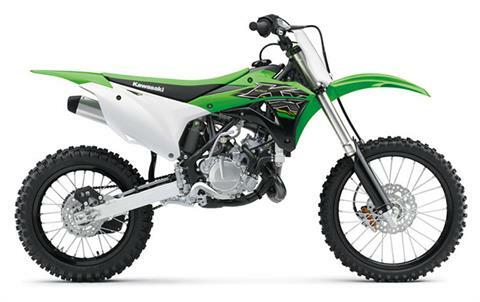 High-performance liquid-cooled, 99cc 2-stroke engine. 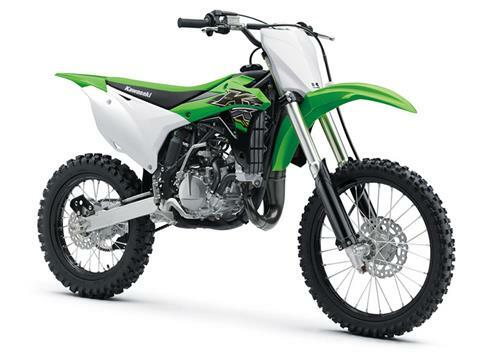 Sophisticated suspension components are adjustable. Larger (19F, 16R) wheels than the KX85 (17F, 14R) contribute to a taller 34.3 inch seat height and higher 13.0 inch ground clearance.